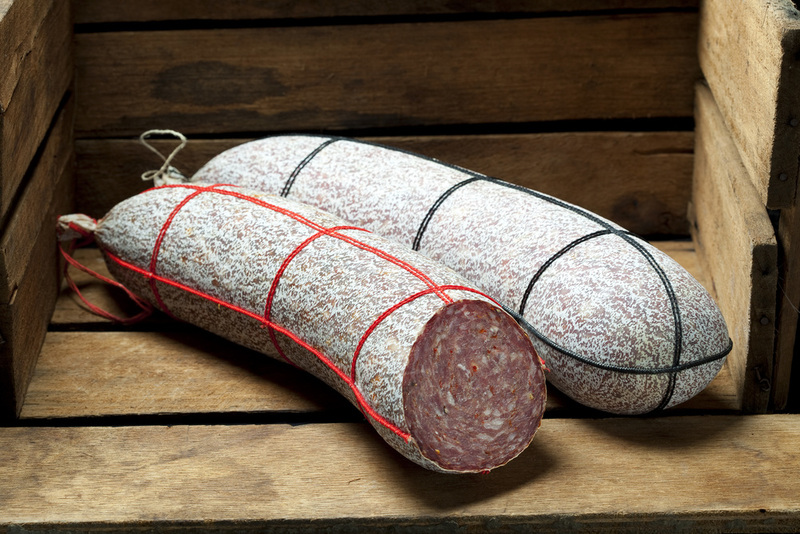 This 100% pork meat Sopressa develops its unique flavour by being larger in diameter. The spices used are carefully chosen so as to enhance its distinctive flavour. This Sopressa is easily identified by it being in a cotton material casing with black stitching for THE mild and red stitching for hot. hot antica contains a hot heat strength chilli.